Morocco has launched an unprecedented diplomatic offensive to reach a quick settlement of the Sahara conflict and does not seem ready to turn a blind eye on the blunders made by the UN Secretary General Ban Ki-moon during his recent visit in Algeria and in the Tindouf camps. Rabat has just announced its decision to reduce “significantly” the participation of the Moroccan civilian component within the UN peace mission in Western Sahara, MINURSO. The Kingdom is also considering the withdrawal of Moroccan troops engaged in UN peacekeeping operations if Ban Ki-Moon does not change his recent pro-Polisario stances. The decisions, taken in response to the UN chief’s bias, are equal to the anger felt by the entire Moroccan people and political class. 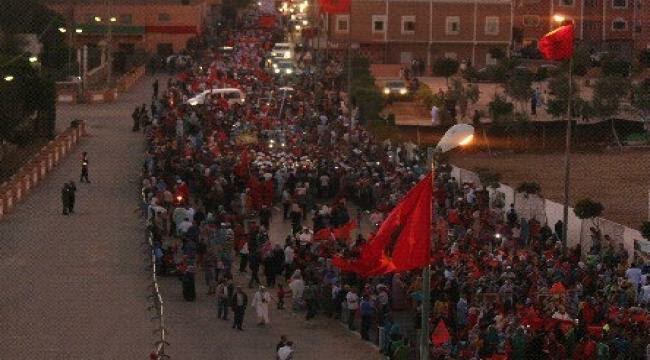 Last Sunday, more than three million people took to the streets in Rabat and the following Tuesday, nearly 180,000 Sahrawi citizens staged a demonstration in Laayoune, near the headquarters of the MINURSO, to express their resentment and exasperation at Ban Ki-Moon’s bias. Morocco’s King Mohammed VI, who is paying an official visit to Moscow, was reassured Tuesday in the Kremlin by Russian President Vladimir Putin of Russia’s support and understanding of the position of Morocco in the Sahara issue. On the diplomatic front, the Moroccan Foreign Minister, Salaheddine Mezouar presented in New York on Monday, a letter to the UN Secretary General, expressing “firm denunciation and total rejection by the Kingdom of Morocco, its people and all its forces, of Ban’s objectionable statements and condemnable gestures about the Moroccan Sahara issue, during his recent visit to Algeria,” said a statement released by the Foreign Ministry. 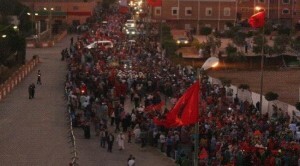 Moroccan officials are therefore not ready to give up the defense of the country’s primary national cause. On the contrary, they moved up a gear in their diplomatic offensive after they waited for over forty years for a political and consensual solution that is slow to come to close once for all the dossier of the artificial conflict created by the Algerian and Libyan regimes during the cold war era.